Terenzo Bozzone (NZL) and Laura Siddall (GBR) were crowned champions at Kellogg’s Nutri-Grain IRONMAN New Zealand on a day that saw race records smashed as the event celebrated 20 years in Taupo and 34 years in total, second only to the IRONMAN World Championships in Kona, which celebrates 40 years this October. 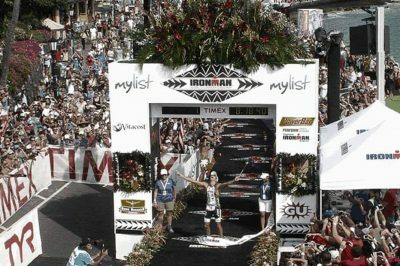 Bozzone broke through at the 10th time of trying to win his first Kellogg’s Nutri-Grain IRONMAN New Zealand title, executing a perfect race plan in not only breaking the course record, but going under the magical eight-hour mark in the process, clocking 7:59:56. So quick was the race in fact, that the first three all ducked under Cameron Brown’s 2016 race record, with Joe Skipper (GBR) second and Brown in third at the ripe old age of 45.